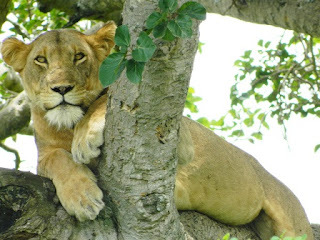 5 Days Uganda safari taking you for gorilla trekking in Bwindi national park and Wildlife viewing in Queen Elizabeth national park taking you through the Ishasha sector to view the amazing tree climbing lions and game drive and boat ride along the Kazinga channel where you will view Thousands of hippos along the Lake shores. Have early morning breakfast to take a final opportunity to see the highland forest of Bwindi on our exit from the park before making our way back to Kampala where the tour ends. Depending on the schedule of your flight, you may want to explore the city of Kampala independently or buy the last souvenirs in the market.